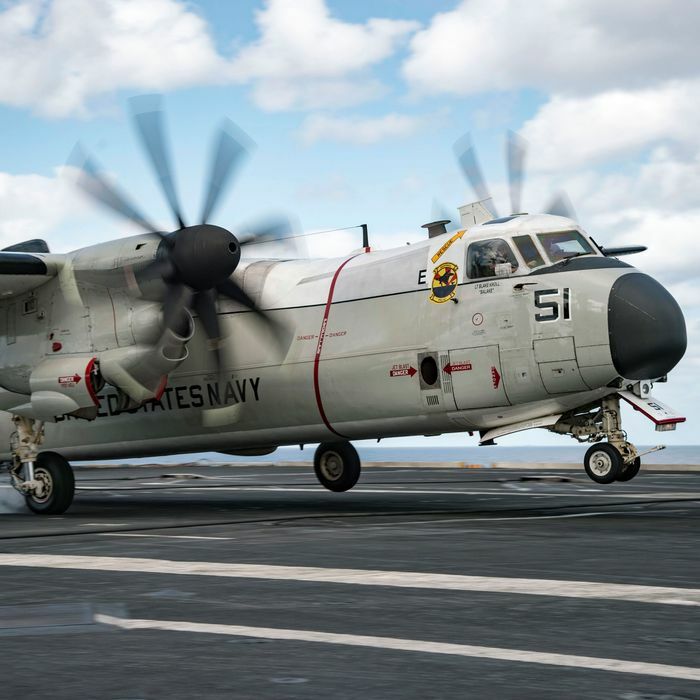 A U.S. Navy plane carrying 11 people crashed in the waters off of Okinawa Wednesday, the Navy said in a statement. Eight of the passengers were quickly recovered and in “good condition,” but the remaining three are still missing. The C2-A Greyhound transport plane was flying a routine mission, carrying crew and cargo from a base in Japan to the U.S.S. Ronald Reagan. The aircraft carrier is in the Philippine Sea and participating in U.S.–Japan naval exercises. President Trump tweeted “prayers for all involved” Wednesday as rescue teams from both the U.S. and Japan searched for the missing passengers. The cause of the crash isn’t yet known, though Japan’s defense minister told reporters that “engine troubles” may have been the culprit.